I’ve had many people ask me if a bow stabilizer is a necessary accessory for a compound bow. Most of them didn’t think a stabilizer makes any difference, while others didn’t really want to spend extra money on another bow accessory. Today I will address the topic of bow stabilizers and give guidelines to help you decide if you should invest on one or not. 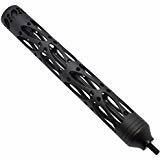 I will also give a list of the best bow stabilizers out on the market today that you can choose from. **Below, you find more detailed reviews but you can also click links above to see current prices and read customer's reviews on Amazon. 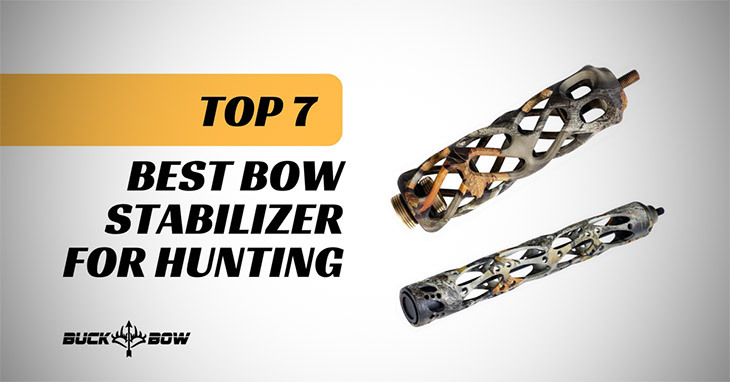 What Is The Best Bow Stabilizer On The Market? 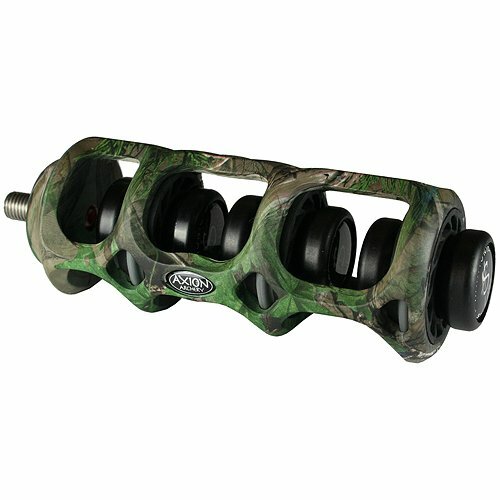 Do You Really Need a Bow Stabilizer for Your Bow? 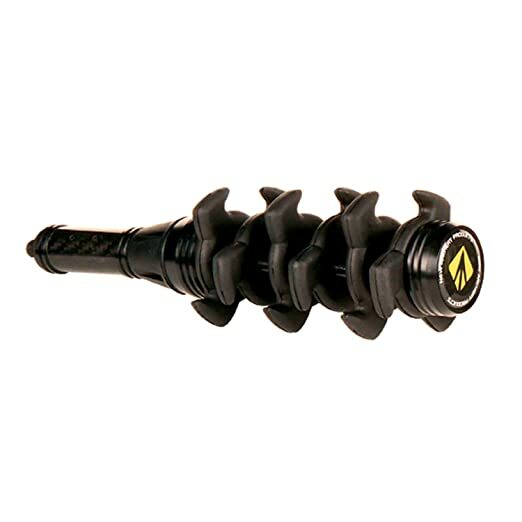 The Bee Stinger Sport Hunter Xtreme Stabilizer is one of my favorite premium bow stabilizers, and for good reason. Each unit comes with innovative archery stabilizer technologies designed to minimize, if not completely eliminate, shot-induced vibrations. I also love how the stabilizer provides great balance to the bow, once you have the full weight installed. You can also easily adjust the weight depending on how little or how much you need on the end of your bow. If I have one thing I want to improve on this product, it’s probably the Lost camo design, which doesn’t really work well for me because it doesn’t look good with my bow. Overall, however, I would say that the Bee Stinger is an investment worth getting into. 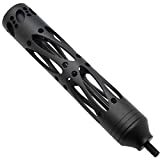 Bee Stinger Sport Hunter Xtreme Stabilizer, Black, 6"
New Archery is known for its innovative product designs, and its Apache Bow Stabilizer is a good example of this. This model comes in two parts, which I need to connect before attaching to my bow. On the one hand, I love that I can easily store this anywhere because it easily comes apart, but on the other hand, I do find that it takes more effort to assemble it, so I don’t think it’s the best pick for a quick disconnect. I do like using this stabilizer when I shoot game in long ranges during windy days. I like its compact design and the extra weight it has on the front, because it helps take away some strain from my wrists. I find that there are many things that Trophy Ridge can improve in its Static Stabilizer, but I do like the fact that it is made of lightweight materials that I can easily carry with me. This model also boasts of a Ballistic copolymer system that reduces its weight and allows air through the bar, which in theory helps the bow stabilizer better. What I don’t like about this product is that it doesn’t come with dampeners, and the manufacturer advertises specifications which are different from the actual product. Still, I think it is something worth looking into if you’re on a tight budget. 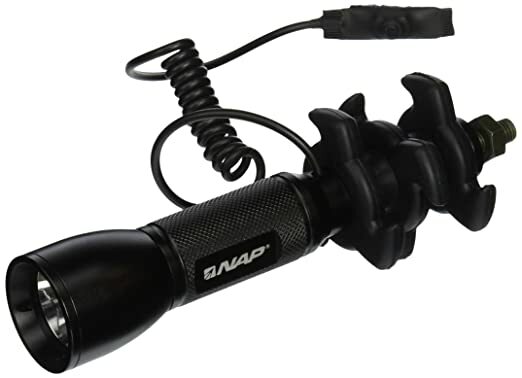 I tend to use the NAP Apache Predator LED Stabilizer when I hunt in low-light settings and I want a bit more light. 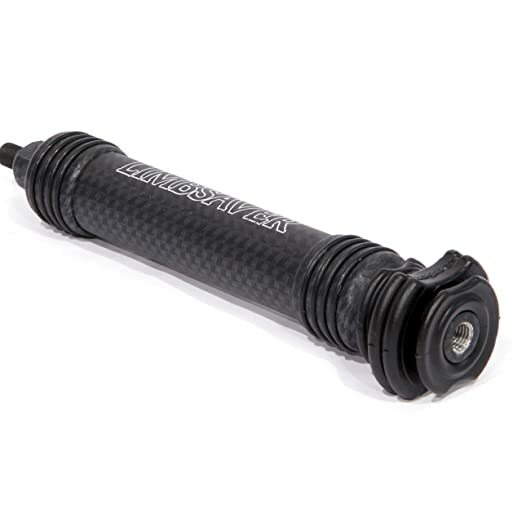 This product comes with a high-powered Cree LED bright light that has a great range and allows me to see better in the dark. Its exclusive Vibration Dampening Technology reduces the bow’s vibration for each shot, so it works great as a stabilizer, too. My biggest beef with this product is that the battery is pretty hard to replace, and the ones provided ran out of juice too quickly. The switch also produces a quiet sound that may feel louder if you’re in a very quiet environment. 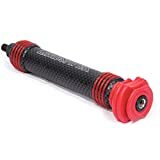 Let me get out of the way first: I love the fact that LimbSaver offers so many designs for its WindJammer Bow Stabilizer. From classic black to something more contemporary, there are just so many to choose from! Aesthetics aside, I also like how this model is very easy to install to my bow. And once it’s there, it adds just enough weight so that the bow doesn’t vibrate whenever I take a shot. However, as this is a bit lightweight, I don’t normally use it for my heavier bows because it doesn’t work as well. The LimbSaver WindJammer Bow Stabilizer boasts of being made of durable aircraft aluminum, and its tubing is filled with LimbSaver’s very own NAVCOM material. This allows the stabilizer not only to prevent vibrations, but also dampens the noise the arrows and string produce after every shot. 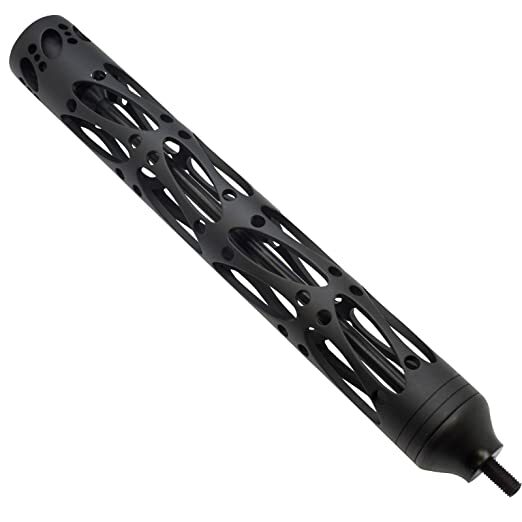 I find that I can use the EBBQ Axion SSG Silencer Stabilizer even in very windy weather, mostly because of its strategic hollow frame design. The big gaps around the stabilizer allow wind to flow through, instead of pushing against the item, which might make me miss my shot. I’ve also noticed that my hand torque was reduced whenever I use this product. Not only that, but this EBBQ model is very lightweight and quiet, so I didn’t really have any problems carrying it around. My biggest issue, however, is that the product didn’t really have four harmonic stabilizer lights. In truth, it only has one, and the remaining three are actually just harmonic dampers. Lost camo design is 50/50, too—it works with some bow designs, but pickier bowhunters may have an issue with it. I’ve heard so many good things about the SAS Archery Aluminum Bow Stabilizer, so I made it a point to get one to check it out. I must say I was very impressed, as this product is made of high-grade aluminum that is very solid and durable. SAS Archery’s Extreme Vibration Dampening Technology works well to reduce the vibrations on my bow, allowing me to hit my targets more often. I also found that this stabilizer is very lightweight and easy to install. I also like the classic black design, which I think works with whatever bow I have. I was, however, disappointed that my product came with a few scratches, like it was not handled well during shipping. I would have preferred that the manufacturer took better care of its delivery procedure, but otherwise, this product is A-OK for me. Before you rush to the nearest archery shop and grab the first stabilizer you lay your eyes on, I want you to pause and assess your hunting needs and habits first. Doing this will help you decide if you really need to invest on a stabilizer now or if you could hold off purchase for a later date. So how can you determine if you need a stabilizer for your compound bow now or not yet? 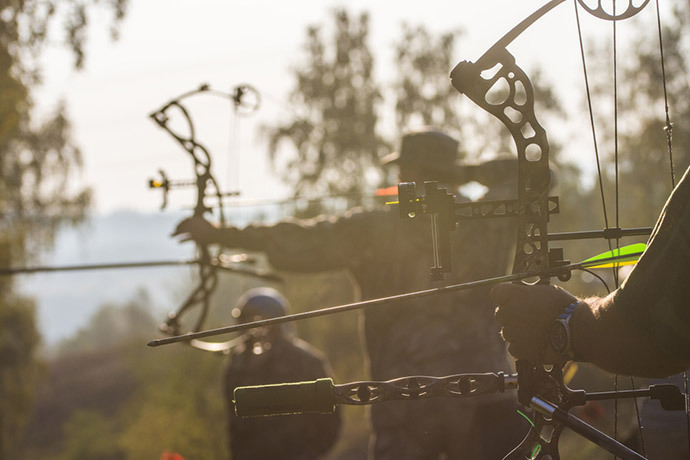 Keep in mind that the most important role of a stabilizer is to stabilize your compound bow. It does this by adding forward weight to your bow, assuming you install it correctly, of course. But why do you need to stabilize your bow? Well, for one thing, a stable bow allows you to make more accurate shots, especially in windy environments. Your accuracy rate will also increase when you’re shooting from 40 yards and up. If most of your shots are done within the 40-yard range or below, then I don’t think a stabilizer will make much of a difference. You can still get one to improve your aim, but bear in mind that the improvement may be negligible. Also, note that a stabilizer adds weight to your compound bow. If you’re doing most of your bowhunting in a blind or a tree stand, then using a stabilizer is okay, since you won’t really be bogged down by all the additional weight. However, if you are more of an on-the-ground hunter, someone who is more mobile and loves the thrill of moving from one spot to another, then the added weight of the stabilizer may become a nuisance in the long run. Weight. Because the primary function of a stabilizer is to stabilize your bow, your product’s weight should add just the right amount of mass to your weapon. I know some bowhunters who prefer heavier stabilizers because they feel that these maximize the stabilization of their bows, but I also have colleagues who like a lighter bow. Make sure you get something that you won’t mind carrying around in the field. Ideally, your stabilizer should be somewhere between 4 to 10 ounces. You can ask a representative of your archery shop to help you test several stabilizers to determine which one works for you. Dampening Material. Most stabilizer brands claim that they help reduce the noise and vibration of the bow after every shot. This is important in increasing the accuracy of your shots, since the slightest vibration may affect the angle of your arrow, which may mean the difference between a clean shot and a nip on your target’s leg. Look for a stabilizer with a noise dampener made of gel, rubber, or sand, and make sure this material is positioned at the center of the stabilizer and not at the end. This ensures that it can absorb the maximum vibration and noise that it is supposed to. Length. While a stabilizer’s length isn’t that all important, many hunters still opt for stabilizers within the 6 to 8-inch length. This is the optimal length for most stabilizers for decreasing noise and vibration and hand torque after every shot. While longer stabilizers are a favorite of competition shooters, you may find them unnecessary when you’re in the field, aiming for a moving target. Adjustability. I like stabilizers that allow me to make customizations to it, depending on my needs. These include side bars that adjust the weight from sights and quivers. Plain stabilizers are okay, but I find that ones with additional features are a better investment in the long run. Top 4 Arrow Saws—Know the Best Arrow Saws on Sale Right Now!